Definition at line 27 of file CLRenderCurve.h. Definition at line 22 of file CLRenderCurve.cpp. Definition at line 35 of file CLRenderCurve.cpp. References CKeyFactory::add(), CCopasiRootContainer::getKeyFactory(), mKey, and mListOfElements. Definition at line 61 of file CLRenderCurve.cpp. Definition at line 91 of file CLRenderCurve.cpp. References CCopasiRootContainer::getKeyFactory(), mKey, mListOfElements, and CKeyFactory::remove(). Adds a copy of the given curve segment to the end of the list of curve segments. Definition at line 184 of file CLRenderCurve.cpp. Creates a new bezier element. The element is added to the curve. Creates a new cubic bezier curve segment. Definition at line 145 of file CLRenderCurve.cpp. Creates a new point element. The element is added to the curve. Creates a new curve segment. Definition at line 155 of file CLRenderCurve.cpp. Returns a const pointer to the curve segment with the given index or NULL if the id is invalid. Definition at line 166 of file CLRenderCurve.cpp. Returns a pointer to the curve segment with the given index or NULL if the id is invalid. Definition at line 175 of file CLRenderCurve.cpp. Returns the id of the end head. Definition at line 129 of file CLRenderCurve.cpp. Referenced by fillItemFromRenderCurve(), and CLLayoutRenderer::update_textures_and_colors(). Definition at line 245 of file CLRenderCurve.cpp. Returns a const pointer to the list of curve segments. Definition at line 213 of file CLRenderCurve.cpp. Referenced by getPath(), and CCopasiXMLParser::RenderCurveElement::start(). Returns a pointer to the list of curve segments. Definition at line 221 of file CLRenderCurve.cpp. Returns the number of curve segments. Definition at line 137 of file CLRenderCurve.cpp. Returns the id of the start head. Definition at line 121 of file CLRenderCurve.cpp. Returns true if the start head is set or false otherwise. Definition at line 237 of file CLRenderCurve.cpp. Definition at line 229 of file CLRenderCurve.cpp. Removes the curve segment with the given index. Definition at line 199 of file CLRenderCurve.cpp. Sets the id of the end head. Definition at line 113 of file CLRenderCurve.cpp. Sets the id of the start head. Definition at line 105 of file CLRenderCurve.cpp. Definition at line 253 of file CLRenderCurve.cpp. References CLGraphicalPrimitive1D::addSBMLAttributes(), mEndHead, mListOfElements, and mStartHead. Definition at line 155 of file CLRenderCurve.h. Definition at line 35 of file CLRenderCurve.h. Referenced by getEndHead(), isSetEndHead(), setEndHead(), and toSBML(). Definition at line 41 of file CLRenderCurve.h. Referenced by CLRenderCurve(), getKey(), and ~CLRenderCurve(). Definition at line 36 of file CLRenderCurve.h. 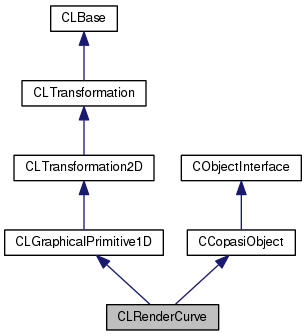 Referenced by addCurveElement(), CLRenderCurve(), createCubicBezier(), createPoint(), getCurveElement(), getListOfCurveElements(), getNumElements(), removeCurveElement(), toSBML(), and ~CLRenderCurve(). Definition at line 34 of file CLRenderCurve.h. Referenced by getStartHead(), isSetStartHead(), setStartHead(), and toSBML().